Today, let’s turn to third-party transceiver modules rather than the original one which we have covered lots of topic about it. Third-party compatible optical module means the optical transceiver is offered by another manufacturer who can provide or produce the optics with the same specifications. For example, HPE J9150A compatible 10GBASE-SR SFP+ provided by FS.COM has the same specification with the original one produced by HP. The following part will mainly focus on the X132 10G SFP+ LC transceivers, especially J9150A vs J9151A. HP X132 10G SFP+ LC SR Transceiver is a 10-Gigabit transceiver in SFP+ form-factor. 10GBase-SR is one of the Ethernet specifications. HP X132 10G SFP+ LC SR transceiver complies with this standard specification, and the SR in this optical module model means short range. When it is integrated with multimode fibre, its transmission distance can reach up to 300 m. In addition, the wavelength of the 10G SFP+ SR optical module is 850 nm, which has the advantages of low cost, low power consumption, small size, and high density. In its name, HP is just a trademark of Hewlett-Packard Development Company. This kind of transceiver module is same with other normal 10G SFP+ SR transceivers in specification and function. Same with HP X132 10G SFP+ LC SR transceiver, HP X132 10G SFP+ LC LR transceiver is also a 10-Gigabit transceiver in SFP+ form-factor, but it conforms to 10GBase-LR Ethernet specification. Oppositely, LR stands for the long range. The transceiver supports the 10-Gigabit LR standard, providing 10-Gigabit connectivity up to 10 km on single-mode fibre. Its maximum transmission distance is 10 km on a single-mode optical fibre with a wavelength of 1310nm. It can actually reach a maximum of 25km. Moreover, It also has the advantages of miniaturization, low power consumption, and long transmission distance. Wavelength means the distance between two crests of the transmission signal. The longer wavelength means a longer transmission distance. As wavelength and fibre type are both the determining factor of transmission distance, we can say the biggest difference between J9150A and J9151A is the transmission distance. From the above, we can conclude that the content of J9150A vs J9151A is not falling on which one is better, instead, it mainly argues the optimised choice in varied conditions. Except for the prefix—HP, these two transceivers are similar to a lot of 10G SFP+ with an LC connector. Whereas, due to the name—HP, the transceivers can be trustworthy and chosen by many people. The fact that HP SFP+ transceivers are widely acknowledged by the public encourages more manufacturer to produce them. These 10 Gigabit single-mode SFP+ and 10 Gigabit multimode SFP+ provided by FS.COM are engineered to the highest quality standards and are 100% HP compatible. Next time, we may cover the two other types of X132 10G SFP+ LC transceivers, that is HP X132 10G SFP+ LC LRM transceiver(J9152A) and HP X132 10G SFP+ LC ER transceiver (J9153A). Follow us, if you are interested in it. This entry was posted in Fiber Optic Transceivers and tagged HP SFP, J9150A, J9150A vs J9151A, transceiver on April 24, 2018 by Admin. What is an Optical Transceiver Module? A fiber optical transceiver is a device that can send and receive optical information. By using an optical transceiver, network spend less space and steer clear of the necessity of getting a transmitter and receiver in the network. Able to transmit information further and faster than older models, the more recent transceivers are utilized and appearance, creating more compact, smaller sized modules than ever before. 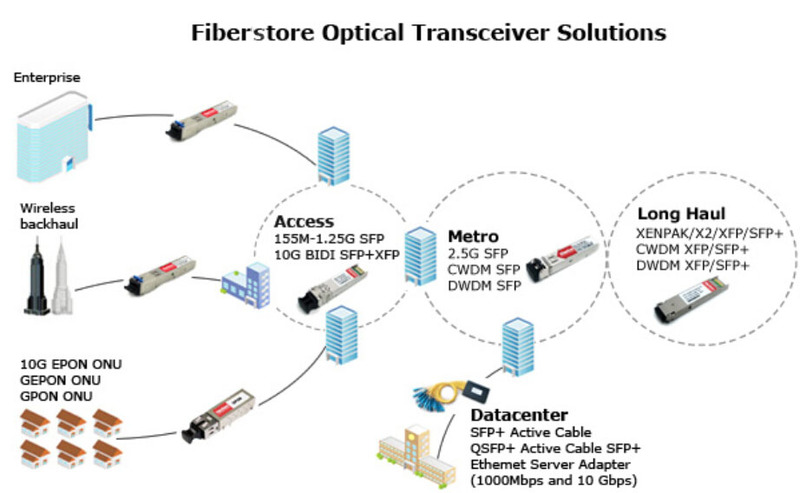 A fiber optic transceiver is a accessory acclimated to forward and accept optical information. There are a number of different components on these devices, including a light source and an electrical component. The transceiver has two ends, one that an optical cable plugs into and accession for abutting an electrical device. 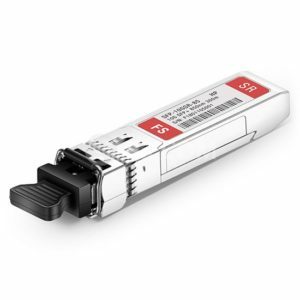 Fiber optic transceivers combine a fiber optic transmitter and a fiber optic receiver in a single module. They are arranged in parallel so that they can operate independently of each other. Both the receiver and the transmitter have their own circuitry and can handle transmissions in both directions. In fiber optic data links, the transmitter converts an electrical signal into an optical signal, which is coupled with a connector and transmitted through a fiber optic cable. The light from the end of the cable is coupled to a receiver, where a detector converts the light back into an electrical signal. Either a light emitting diode (LED) or a laser diode is used as the light source. Optical transceiver generally includes both a transmitter and a receiver in a single module. The transmitter and receiver are arranged in parallel so that they can operate independently of each other. Both the receiver and the transmitter have their own circuitry so that they can handle transmissions in both directions. The transmitter takes an electrical input and converts it to an optical output from a laser diode or LED. The light from the transmitter is coupled into the fiber with a connector and is transmitted through the fiber optic cable plant. The light from the end of the fiber is coupled to a receiver where a detector converts the light into an electrical signal which is then conditioned properly for use by the receiving equipment. Optical transceiver, essentially just completed the converted of data between different media, can realize the connection between two switches or computers in the 0-120km distance. Its main function is to achieve the conversion between optical-electrical and electrical-optical, including optical power control, modulation transmission, signal detection, IV conversion and limiting amplifier decision regeneration. In addition, there are some functions like security information query, TX-disable. Here is a summary in the practical application. Optical transceivers can interconnect with switches. Optical transceivers can interconnect between the switch and the computer. Optical transceivers can interconnect with computers. Optical transceivers can act as the transmission repeater. When the actual transfer distance exceeds the nominal transmission distance of the transceiver, in particular, the actual transfer distance exceeds 120km alerts, with 2 sets transceiver back to back in the case of on-site conditions allow, repeaters or the use of “optical-optical” conversiona relay, is a very cost-effective solution. Optical transceivers can offer conversion between single-mode and multimode fiber connection. When the networks appear to need a single multimode fiber connection, you can use a multimode transceiver and a single-mode transceiver back-to-back connections, which can solve the problem of single multimode fiber converted. Optical transceivers can offer WDM transmission. The lack of resources of long-distance fiber optic cable, in order to improve the utilization rate of the fiber optic cable, and reduce the cost, transceiver and wavelength division multiplexer (WDM multiplexer) with the use of two-way information on the same fiber transmission. Optical Transceiver modules can be classified according to the following aspects. Single-mode fiber transceiver and Multimode fiber transceiver. The single-mode version has a transmission distance of 20 to 120 km, while the multimode one’s is 2 to 5 km. Due to the different transmission distance, the transceivers’ transmit power, receiver sensitivity and the use of wavelength will be different. Simplex fiber transceiver and Duplex fiber transceiver. The simplex version receives the data sent in a single fiber transmission, While the duplex one receives data transmitted on a dual fiber transmission.By definition, single fiber devices can save half of the fiber, a fiber that is in the receive and transmit data, where the fiber is very applicable to resource constraints. These products use the wavelength division multiplexing techniques, mostly using the wavelength 1310nm and 1550nm. SFP, SFP+, GBIC, XFP, XENPAK, X2, 1X9, SFF, 200/3000pin, XPAK, etc. This entry was posted in Fiber Optic Transceivers and tagged fibre optic transceiver, HP SFP, SFP on April 7, 2015 by Admin.